Because of the custom of dipping apples into honey, the sweet food has become symbolic and well-used throughout holiday cooking. Thus you will find many holiday recipes that contain honey, especially honey cake, which is considered a Rosh HaShanah delicacy. Challah, a braided egg bread, is served at almost all Jewish holiday meals, but on Rosh HaShanah, the challah is shaped in a round manner. This is to symbolize the cycle of the year and to set it apart from the rest of the year. Rosh HaShanah challah often has raisins or honey added to increase its sweetness, as well. 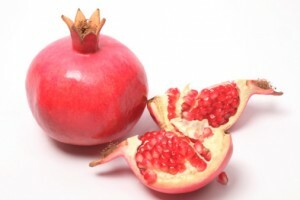 Pomegranates are frequently eaten on Rosh Hashanah as a new fruit. 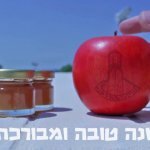 It is customary to eat a “new fruit” on Rosh HaShanah, one that has not been tasted yet in that season. Often, pomegranates are served to fill this function, since they come into season in the fall and are not commonly eaten. Fish is an ancient symbol of abundance, so fish is often served on Rosh HaShanah. Because Rosh means “head”, there are some who serve fish heads, as well. 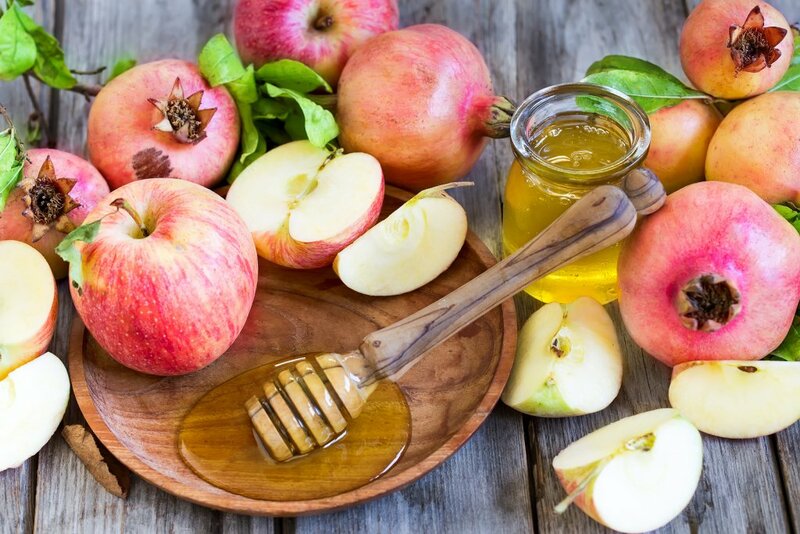 There are many other foods that fill symbolic functions on Rosh HaShanah. Known as “simanim” (symbols), they usually are foods whose name is a play on words for one of the holiday themes. Some of these foods are leeks, black-eyed peas, pumpkin, carrots, and dates.